Nurse & OT Incharge Jobs Recruitment Vacancy 2012 B.M. Birla Heart Research Centre Kolkata Online application Procedure Apply Date Schedule Interview Timings Nurse & OT Incharge 2012 Jobs Recruitment B.M. Birla Heart Research Centre Kolkata Eligibility Criteria Pay Scale job location 2012 jobs recruitment Nurse & OT Incharge B.M. Birla Heart Research Centre Kolkata. Are you looking for jobs at B.M. Birla Heart Research Centre Kolkata? Do you want to know the latest Jobs at B.M. Birla Heart Research Centre Kolkata? Do you want to work in the post of Nurse & OT Incharge at B.M. Birla Heart Research Centre Kolkata. Then let us inform you about the recent Job Vacancy details of B.M. Birla Heart Research Centre Kolkata as Nurse & OT Incharge. B.M. Birla Heart Research Centre Kolkata invites application from the eligible candidates for the 2012 Recruitment of Nurse & OT Incharge and the details as follows. • Nurse & OT Incharge Recruitment Vacancy 2012 Job Location: - B.M. Birla Heart Research Centre, 1/1 National Library Avenue, Kolkata-27 [Fax no. 033-24567000]. Critical Care Nursing Incharge recruitment at B.M. Birla Heart Research Centre Kolkata: Educational qualification requirement - GNM / B.Sc in Nursing, Job experience preference - 4-5 years of experience. Operation Theater (O.T.) Incharge recruitment at B.M. Birla Heart Research Centre Kolkata: Educational qualification requirement - GNM / B.Sc in Nursing, Job experience preference - 10 years (3 years minimum as O.T. / Cardiac O.T. Incharge) of experience. Staff Nurse recruitment at B.M. Birla Heart Research Centre Kolkata: Educational qualification requirement - GNM / B.Sc in Nursing, Job experience preference - 1-3 years of experience. • Where How to Apply Process of Nurse & OT Incharge 2012 Jobs Recruitment in B.M. Birla Heart Research Centre Kolkata: - Interested candidates should apply with CV & Photographs within 15-days from 10th June 2012 to ‘Human Resource Department, B.M. Birla Heart Research Centre, 1/1 National Library Avenue, Kolkata-27’ & also send your CV to ramesh.lall@birlaheart.org / sounak.sengupta@bmbhrc.com. Don’t forget to Apply within the scheduled date for the 2012 Nurse & OT Incharge jobs in B.M. Birla Heart Research Centre Kolkata and to brighten your professional career. B.M. Birla Heart Research Centre, Alipur (Kolkata) is the best Heart Surgery & Heart Disease Treatment Centre in Kolkata located near Alipur in South Kolkata. B.M. Birla Heart Research Centre, Kolkata is a specialized Centre in Heart related diseases and Heart Surgeries at Kolkata. 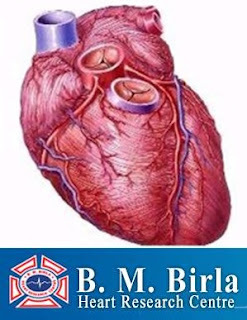 Please visit www.birlaheart.org for Heart Surgery Package Cost in Kolkata at B.M. Birla Heart Research Centre and to book appointment for Heart Treatment at Birla Heart Research Centre, Kolkata along with Doctor Names and Price package of B.M.Birla Heart Research Cenre, Alipur Kolkata. B.M. Birla Heart Research Centre Kolkata Address: - 1/1, National Library Avenue, Alipur, Kolkata-27 [Phone number: 033-30403040 / 9007033017 | Email: bmbhrc@birlaheart.org]. What is Minimally Invasive Coronary Surgery of Heart? In today’s world of tight schedules, having a heart surgery means minimum 90-days of setback from the workplace. But, the surgeons at B M Birla Heart Research Centre, Kolkata have finally shrunken this long period of waiting for a full-fledged recovery by performing the first Minimally Invasive Coronary Surgery (MICS) through a small incision in the Chest wall. Minimally Invasive Surgery procedure involves using new types of instruments and various visualizing aids. In this technique, the LIMA is discussed via a small six cm (2.5 inch) incision in the left chest wall. Through these ports endoscopic instruments are used to do the operative work. Once the conduit is ready, direct grafting left anterior descending artery is performed though the same incision. Due to the small incision and small invasion the patient minimum scarring and minimum hospital stay. Since the recovery is fast sometimes the patient can be discharged within five days. With minimum hospital stay the patient feels much better as his quality of life has not been compromised at all. B M Birla Heart Research Centre, Kolkata now has a good experience of successful minimal invasive surgeries which are performed regularly.